Uninsured motorist (UM) liability coverage is additional coverage that can pay for injuries to individuals protected under your policy, including family members in other cars and passengers in your insured cars, resulting from a car accident caused by an uninsured driver. However, this additional coverage can be modified or inapplicable if the insured decides to reject coverage, select lower limits, or select economic-only coverage, which would only cover costs, not non-monetary damages, such as pain and suffering or quality of life damages. UM coverage is also part of most businesses insurance policies. All of these options allow for insurance policies to be flexible, and whatever a policy stipulates is what it will cover, but as a case that arose in the Parish of St. Landry shows, writing and reading an insurance policy isn’t always straight-forward. In October of 2011, Crystal Bell was driving a company car, owned by Compass Behavioral Center for Crowley, when she was rear-ended by Merlyn Rodgers. Crystal Bell and the occupants of her vehicle filed a lawsuit against Merlyn Rodgers and her insurance company. After filing the lawsuit, the plaintiffs amended their complaint by naming Compass’ insurance company, Progressive Insurance Company, as a defendant in order to claim UM coverage. Prior to the accident, in 2007, a Compass representative, Mark Cullen, had signed a CSL automobile insurance policy with Progressive for $1 million in liability coverage. A CSL policy sets a predetermined limit for the combined total of the Bodily Injury Liability coverage and Property Damage Liability coverage per occurrence or accident. Under Louisiana law, UM coverage must be applied through an Uninsured/Underinsured Motorist Bodily Injury Coverage form, which is issued by the Commissioner of Insurance. La. R.S. 22:1295. This form, however, lacked a space for addressing CSL policies. So, Cullen initialed the box that stated he selected UM coverage but wrote in “$100,000” for coverage and marked out “each person” and wrote in “CSL.” Cullen did this even though the form indicated that it may not be altered or modified. Progressive filed a motion for summary judgment and asked that the district court rule that the policy in place at the time of the accident was only for $100,000. The plaintiffs’ filed a counter-motion for summary judgment. The plaintiffs argued that Compass’ UM form was invalid and therefore UM coverage provided for $1 million in coverage. Alternatively, plaintiffs argued that if the UM coverage form was valid, then it was for $100,000 per person as opposed to only $100,000 for each CSL accident. The district court denied the plaintiffs’ motions and granted Progressive’s motion. The district court found that it was clear that Compass intended to purchase a $100,000 CSL policy for UM coverage and held that the UM insurer should not be punished for the State’s inadequate form. An appeal to the Louisiana’s Third Circuit Court of Appeal resulted in a reversal of the District Court’s ruling. The Third Circuit stated that Compass’ attempt to choose a lower UM policy was ineffective because it violated the form’s directions. Further, Cullen failed to initial the modifications he made to the form, which resulted in such modifications being invalid. 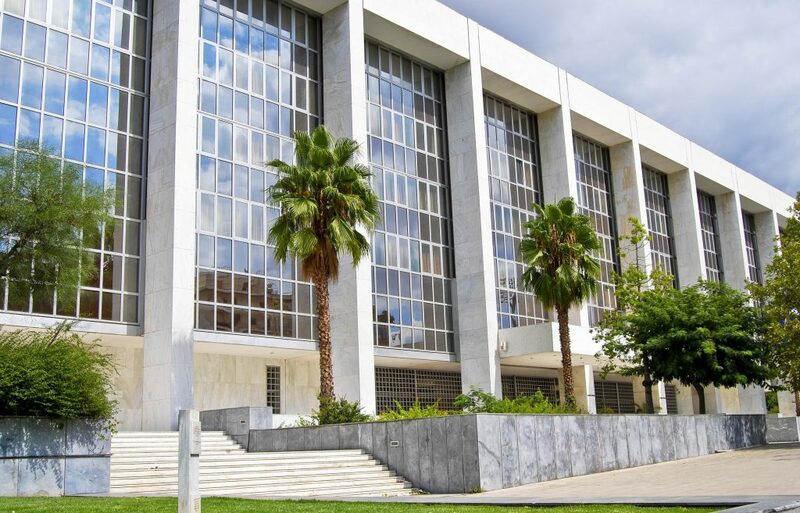 On a Writ of Certiorari, which is an appeal from a lower court for the state supreme court to hear the case, the Louisiana Supreme Court reversed the Third Circuit’s holding and affirmed the district court’s original holding. Louisiana law stated that UM coverage could only be applied for or altered on a form prescribed by the Commissioner of Insurance. La. R.S. 22:1295. This means a properly completed UM coverage form creates a presumption that the insured, Compass, rejected or modified their UM coverage. Further, Louisiana law outlines six tasks which must be done to complete a UM form. These tasks include: initialing an acceptance of rejection of coverage, to write in the limits of coverage if lower than policy limits, print the name of the insured, sign the name of the insured, fill in the policy number, and filling in the date. Duncan v. U.S.A.A Ins. Co., 950 So.2d 544, 551 (La. 2006). The Court concluded that Compass’ representative, Cullen, had completed the six tasks. The decision reached by the Louisiana Supreme Court seemed to be a reasonable outcome in protecting Compass from a mistake on behalf of Louisiana’s Insurance Department. Nonetheless, this case signifies the importance of not only being aware of what the law requires but also for businesses to be clear on exactly what policy their employees are covered with while on the clock. This is why businesses should seek competent attorneys whenever they are confused or unsure on legal issues as opposed to trying to tackle them by themselves. Additional Sources: FRANK TUSON, ET. AL., VERSUS MERLYN RODGERS, ET. AL.